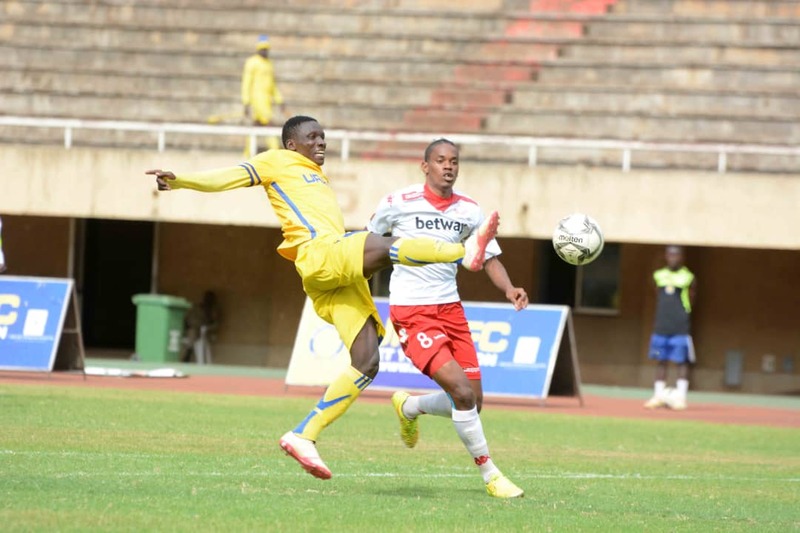 NAMBOOLE – Ronald Kigongo scored the only goal of the game as URA defeated Express 1-0 in the StarTimes Uganda Premier League. 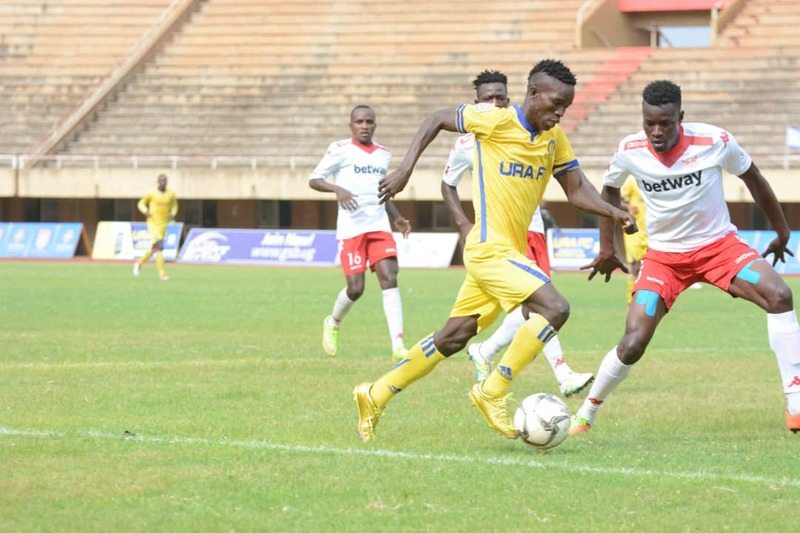 Having drawn 1-1 with Bul FC on Friday, URA came into the game played at Namboole knowing that victory would see them move into third on the standings. URA applied the early pressure but Express got the first attempt on target through Disan Galiwango but James Alitho saved comfortably the left-back come winger’s low shot. Moments later, Galiwango again tried his luck from distance, this time from a free kick 30 yards from goal after Davis Mayanja was fouled, but his effort flew over the bar. Express looked to have weathered down URA’s early storm and grew into the game steadily and on 17 minutes, Lawrence Kigonya miscued a shot from just outside the area after Ibrahim Kayiwa’s cut back was intercepted by Yesri Waibi. The best chance of the opening exchanges fell to Tony Odur off a cross from Michael Birungi in the 19th minute but his headed effort, while unmarked in the area, hit into the ground and was tipped over by Alitho. URA were looking out of sorts and Birungi was running at their defence with ease. The Tax Collectors had Alitho to thank on 21 minutes when he ran off his line to deny Birungi from a one on one situation after the winger had beaten Waibi for pace down the left. URA’s first real attempt on target saw Shafik Kagimu shot straight at Tony Kyamera in Express’s goal, from 25 yards. URA looked to have resorts to long range shots with Siraje Ssentamu also trying his luck from distance but Kyamera was on hand to parry it away to safety on 27 minutes. At the hour mark, Mathiew Odong unleashed a curling shot from just outside the area but his effort went wide of the target. Moments later, Kigonya became the first player to be booked in the game, following a foul on Odong. At the other end, Birungi made another brilliant run down the right, turned Julius Mutyaba inside out before unleashing a ferocious strike which was pushed away from danger by Alitho. With 4 minutes to halftime, Kagimu found him self in acres of space inside the Express area after the defence failed to deal with a routine Odong cross, but the URA Captain could only shoot over. URA made the first substitution of the game with Charles Sempa replacing Odong. 10 minutes into the game, Ojera picked out Sempa in the area but the substitute blazed over from a promising position. URA made their second substitution of the game, moments later, with Steven Munguchi replacing the tired-looking Kagimu. Munguchi nearly made instant impact but his fierce shot on the volley was pushed out for the corner by Kyamera. URA were looking the better side in the second half but could not put away the chances they were creating and 25 minutes from time, Cromwell Rwomothio missed a seater after he was played in by Ojera, tapping over crom close range. Express made their first substitution moments later as Frank Tumwesigye came on for Kayiwa. URA got to quick opportunities to take the lead with 19 minutes to play. First Waibi saw his free-kick charged down by Galiwango and then Kigongo shot straight at Kamera while in a promising position. URA finally got the reward for their industrious adventures in the second half as Ronald Kigongo pounced onto a loose ball outside the area and he side footed it into the back of the net off a loobing effort. Moments after scoring, Kigongo was booked for time wasting as his side tried to see out the result. Express could have drawn level six minutes from time but Umony shot wide will inside the area after he was played in exquisitely by Odur. The result means that URA move into third on the log with 42 points from 24 games while Express remain 11th with 29 points.